Plongée dans la Mer Rouge au Sinai, Egypte- croisiere en bateaux, 4x4. Plongee à Taba, Dahab, Nuweiba, Nouéba, Sharem el Sheikh, Ras Muhamed, Le Golf d’Eilat, Canal de Suez. 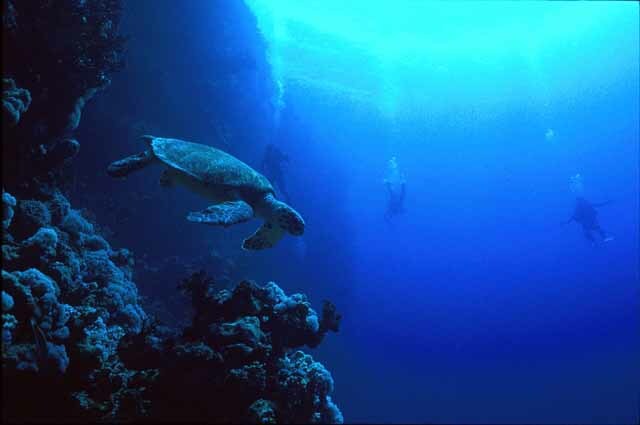 Desert Eco Tours with Ilan Vered and the Sea Queen Company of Egypt offer diving cruises in the Red Sea and the Sinai coast with a wide range of itineraries. These sailings explore the world's greatest dive sites, from the astounding Straits of Tiran through the numerous wrecks that lay in the Gulf of Suez (some of which are hundreds of years old), to the ultimate dive sites of Southern Egypt. 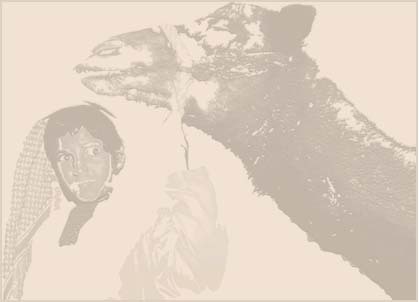 Join us on our adventures in the Red Sea for an experience that will leave you hooked…. The sailings are meticulously planned by an experienced diving instructor/cruise director who supervises the diving and itinerary of each sailing. We use the best boats available in the Red Sea, the Sea Queen fleet, three vessels (Sea Queen I, II, III). These boats are fitted with modern equipment and afford divers a perfect diving holiday. We make every effort to provide the best in hospitality and comfort to our clients. We offer private sailings or, for individual or group bookings a date from our published schedule (see below). On all sailings prior to every dive a briefing is given about the site, its recommended depth and any specific safety concerns. Between dives we enjoy buffet style meals with a variety of menus. You can relax on the spacious deck or in the air-conditioned cabins. The boats are equipped with four toilets/showers, a large salon and sun decks. Soft drinks, tea and coffee are all available free of charge. This sailing is suitable for divers wishing quality dives without requiring Egyptian visas. 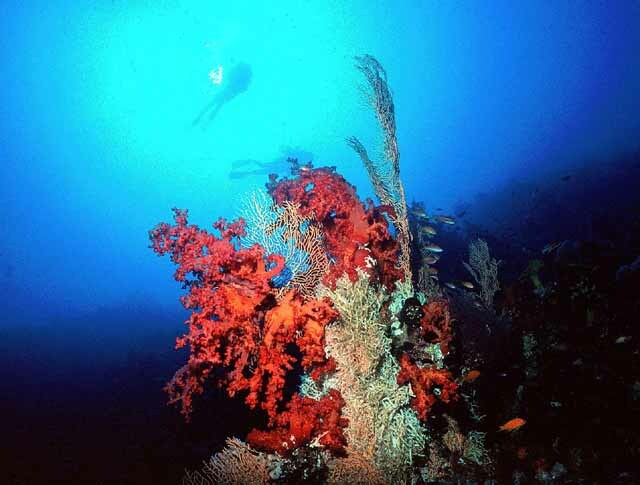 The main area of diving in this itinerary is the Straits of Tiran. This is a narrow and relatively shallow (300 meter) area of the Red Sea, closed to the east by the island of Tiran, and to the west by the fringing reefs of the Sinai. The Straits of Tiran join the Gulf of Eilat/Aqaba to the northern Red Sea and are affected by semi-diurnal tides that are rich in nutrients. 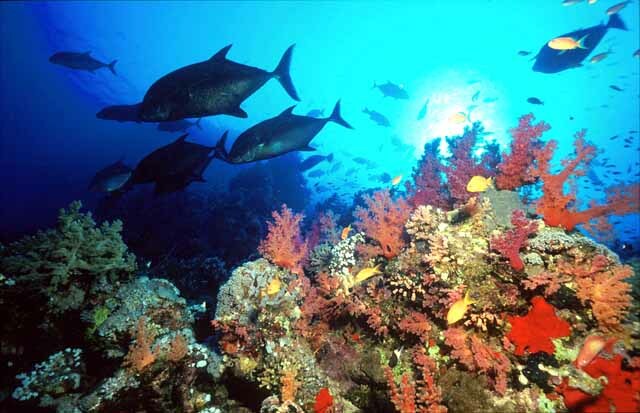 This environment creates an exceptional reef ecosystem that includes vast coral colonies and myriad fish life. 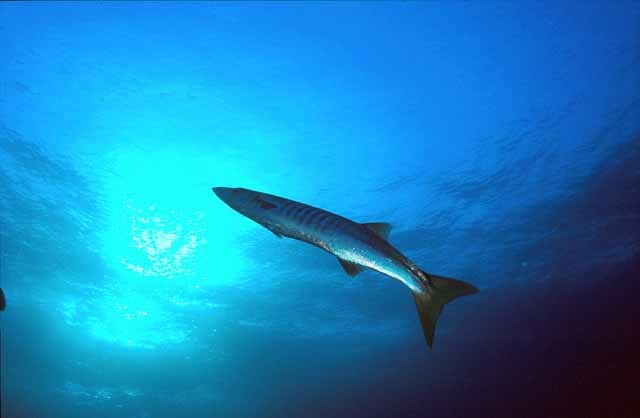 The abundance of food also attracts larger predators such as barracuda, shark and rays. Most of the dives here are “drift dives” where you drift down current along the reef. Day 1- Cross the border at night, direct transit to Sharem and board the boat early morning. 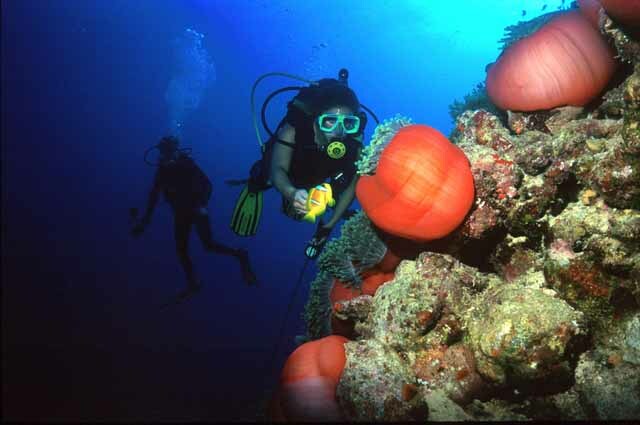 “Check Dive” at Ras-Umm-Sid, one of the best sites in the Sharem area. 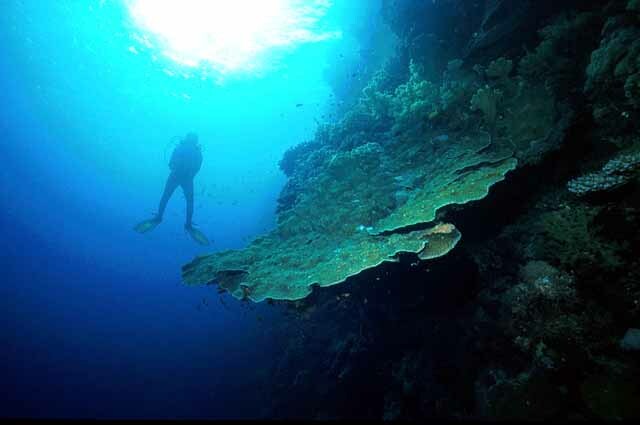 The second dive takes place at the Far Garden, a shallow relaxing dive along the rich reef. The third dive is a night dive in the lagoon of Gordon Reef at the Straits. Day 2- Three outstanding dives on the west side of the Thomas, Woodhouse and Jackson Reefs. Overnight mooring and night dive in the North Lagoon of Tiran Island. Day 3- Three dives on the east side of the Gordon, Thomas and Woodhouse reefs. Return to port at 1700 and cross the border at approx. 2100. Price of sailing $370 per person. Day 1- Meeting in Eilat in the evening before the first full day. Cross the border at Taba from where land transport is provided to the port in Sharem (3 hours approx). Boarding vessel early morning, cabin assignment and departure. First dive (check dive) at the Alternatives. Departure and sailing west to Shaab Abu Nuhas for the second dive on the wreck on the Carnatic, a British steamer/sail ship which went aground on route to India. A fantastic dive and the option of entering the wreck makes this site unforgettable. Third dive at Yellow Reef, a colorful dive along a shallow wall. This dive is repeated at night. Day 2- Early morning dive on the classic wreck Giannis- D. The ship rests on the bottom in two parts and both the bow and bridge sections can be explored. Following this dive we sail north towards Gubal Island where we make the second dive. The third dive is planned on the east side of Shag Rock. Here we also explore the wreck Sarah H that went aground on one of the most beautiful reefs in this region. 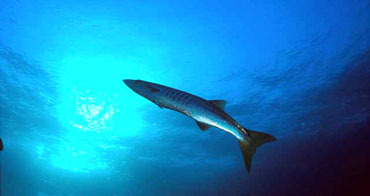 A night dive is made at Shag Rock or Shaab Ali. Day 3- At first light we moor above the wreck of the Thistlegorm, a British vessel that was sunk by the Germans during WWII. The ship was loaded with trucks, motorcycles, guns and munitions, and now she is one of the world's most famous wreck sites. We conduct two dives on the wreck before sailing to the beautiful reef at the Big Crack where we make the day's third dive. At sunset we moor at Stingray Station for a night dive. Day 4- With the sunrise we sail to Ras Mohammed and make an early morning dive at Shark Reef. Any description of this dive cannot match the reality. 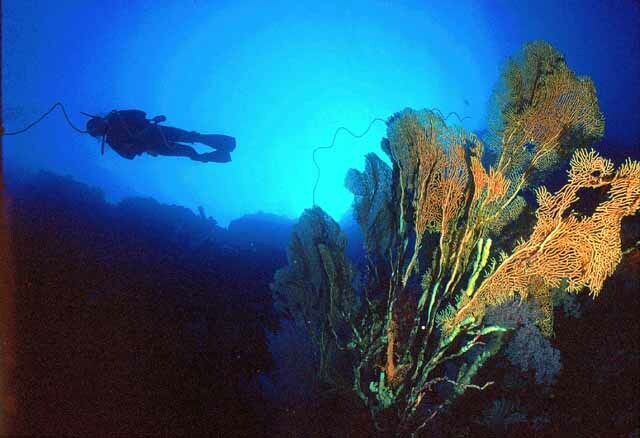 We conduct two dives here and also explore the remains of the wreck Yolanda that went aground in the 70's. For the third dive, a site is chosen from one of the variety of reefs in the Ras Mohammed area for a relaxing “drift dive”. Return to port in the evening. 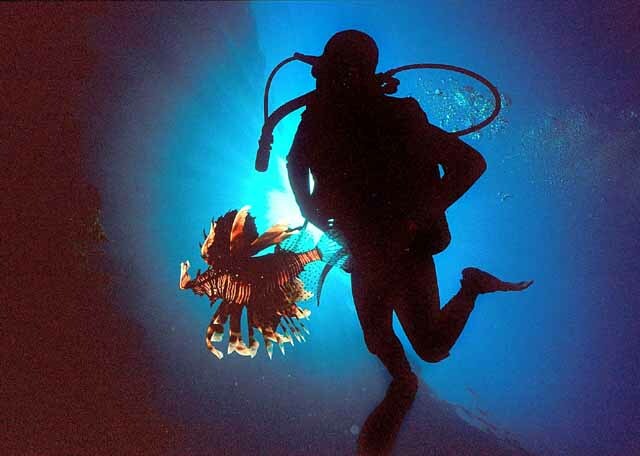 A once in a lifetime experience, we reach those remote regions that have escaped the masses of divers. In addition to those sites mentioned in Itinerary 2such as Ras Mohammed and the Alternatives, we will also sail south through Safaga to Panorama Reef famous for the hammerhead sharks that pass along the reef wall. From there we head to Abu-Kayfan for more exciting wall dives. Elphinston Reef also known as the ‘Ras Mohammed of the South, is a spectacular reef and one of the most beautiful sites in the region. 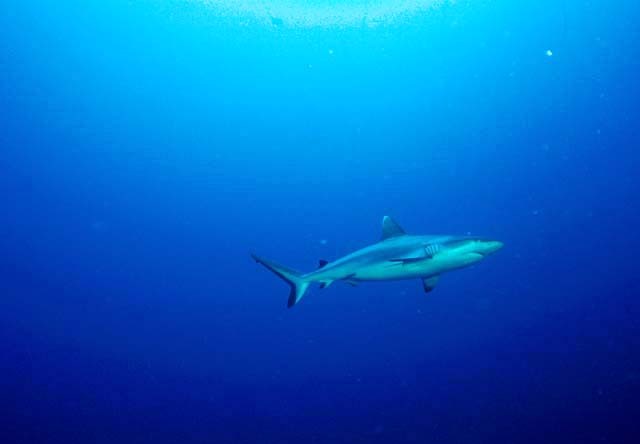 At the northern tip, various sharks, including oceanic white sharks, can be observed. The southernmost site of the expedition is Ras Samadai, which is commonly referred to as the ‘Dolphin Reef of the South' due to the friendly schools of dolphins that have made this reef their home. Swimming with dolphins and spectacular long caves create rare photographic opportunities. Our motto at Samadai and Shaab Sharm Reef is, “new day new sharks…” Further dives are made on the shallow picturesque reef of Abu-Dabbab. We also make dives on the wreck of the Salem Express, a large passenger ferry that struck the reef and sank with thousands of people on board as they attempted to escape from Kuwait during the first Gulf War. We dive at Ras Abu Soma and the island of Giftun. We dive the wrecks of the “Rosalie Mowler” a sister ship of the Thistlegorm, that was discovered just recently, and the wreck of the Ulysses at the Island of Gubal. The last day is spent at Ras Mohammed. In all, 8 days of fantastic fun. This sailing is on board the Sea Queen- 1, a vessel of 45 meters, very well appointed and equipped. All cabins are doubles with air-conditioning and ensuite toilets/showers. Price of sailing $1200 per person. The above-mentioned itineraries are a sample only. Changes can be made at the request of a group or at the skipper's discretion with regard to weather conditions. In case of changes alternate dive sites of high standard will be visited. Price includes: land transit Taba- Sharm- Taba, in a/c minibus, full board, an experienced diving instructor/cruise director, air and weight belts. Price does not include: transit to and from Eilat, border tax - $48 per person, Egyptian Visa (when required), tips for the crew of the boat ($5 a day), diving equipment (available for hire with prior notice), torch for night dives (available on the boat for $5 inc. batteries), diving insurance, and health insurance for traveling. 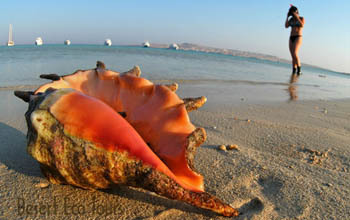 The Sea Queen Company of Egypt operates and are totally responsible for the Diving cruises. 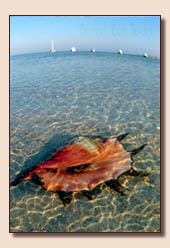 Desert Eco Tours acts as agent and Mr. Ilan Vered is the representative of Sea Queen in Israel. The responsibility for the execution of the charters are on Sea Queen company solely. 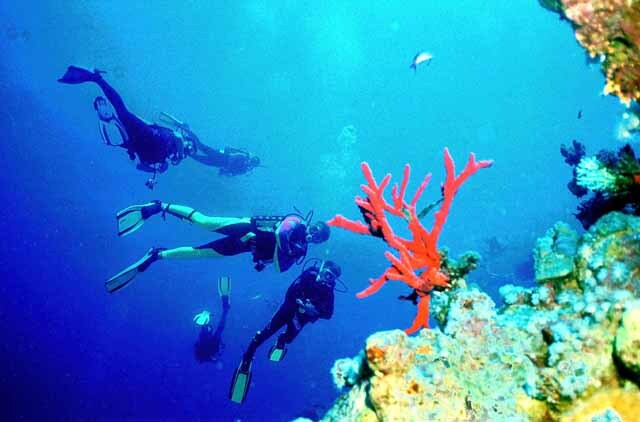 You are requested to provide your own diving insurance and medical insurance covering travel abroad.